It's really gratifying when the randomness of submissions line up with the tenets of the Cyclofiend.com galleries. Back in 2005 (the waning dour days of dialup?) when these Galleries started coming together, one of the ideas was to highlight the really well designed but reasonably unappreciated bicycle frames which seemed to be fading from people's perception. 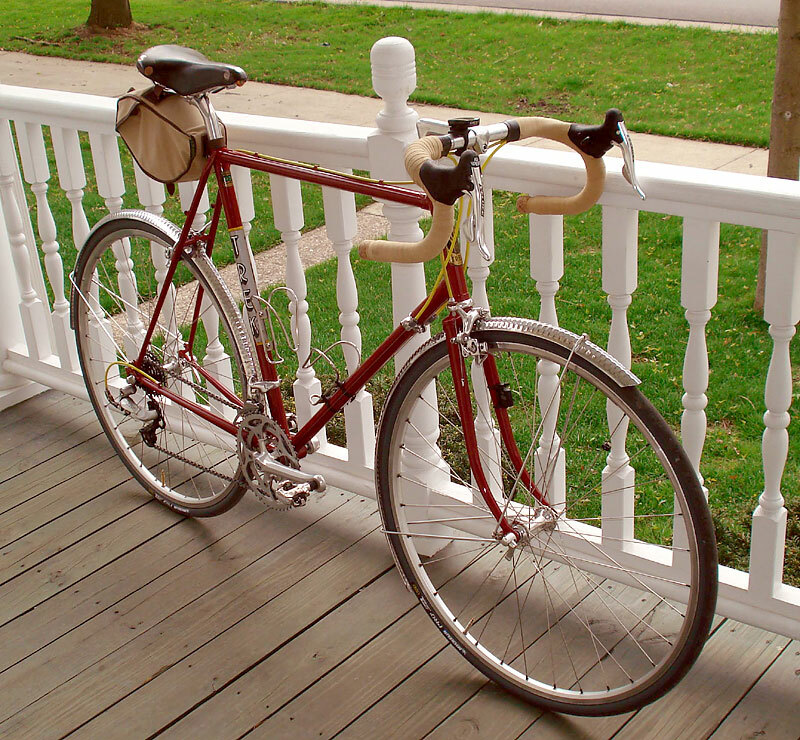 While I certainly love the continued expansion of new builders who understand that the strength of a bicycle design stems from its simplicity, I've always said that reinvigorating an older model was an honorable task. The bicycle which landed at the Milestone spot of 800 seems to epitomize that. Mike has taken a really nice frame design from probably the golden age of Trek steel and set it up with the parts and accessories which really compliment it. From the superb coverage of the Honjo fenders to the classic art nouveau of the font on the seat tube, it's classy and useful, yet Mike's not afraid to use the shifting system he prefers. Best of both worlds and a wonderful addition to the gallery!